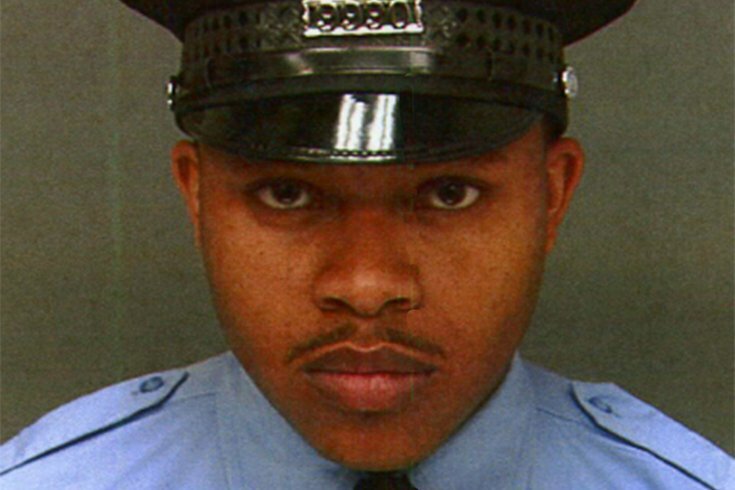 Philadelphia police Officer Robert Wilson III was killed in the line of duty on Thursday, March 5, 2015, in North Philadelphia. Last week, FOP Local 5 President John McNesby put out word that he was none too happy about the Democratic National Convention speakers' list that included mothers of those who experienced violence or death at the hands of police, but no widows of fallen officers. “The Fraternal Order of Police is insulted and will not soon forget,” the press release stated, in part. Well, McNesby and the like-minded populace of his membership might want to skip watching tonight’s “Mothers of the Movement” theme featuring seven mothers of black men, women and children who died from gun violence and/or at the hands of police. It’s a hot-button issue at a highly charged moment in American history, and weighty political implications abound. The Democrats would be beyond foolish not to address it during the convention. But as I sit here awaiting that portion of the program to begin, I can’t help but dwell on the fact that there was a modicum of truth to the FOP’s concerns. Lest this devolve into an “All Lives Matter vs. Black Lives Matter vs. Blue Lives Matter” or gun-control maelstrom in the comments section, I have a singular thought about what the DNC should have done differently. On March 5, 2015, Philadelphia Police Officer Robert F. Wilson III stopped by a GameStop near 22nd Street and Lehigh Avenue in North Philadelphia. He was there to buy his nine-year-old son a video game for getting good grades. Two armed robbers burst in. A gunfight ensued. Wilson died while protecting other customers in the store. The 30-year-old received a posthumous medal of honor by President Barack Obama. If I’d have been on the DNC speakers-scheduling committee, I’d have had one of his survivors up on that stage as well. Maybe some would say that that belittles the Mothers of the Movement’s pain, but at the end of the day, a father died while protecting others all because he stopped by a store to buy his son a gift. Semantics are just that; tragedy doesn't discriminate by familial positioning. More than a token gesture, it’d have shown that yes, gun violence takes people away on both sides of the law-enforcement/community line, something we’d all be better off keeping in mind.